Please see the last question on our FAQs page for instructions on the proper way to send your watch to Crystal-Fit. We exist to help with the problem of "where can I get my watch repaired". 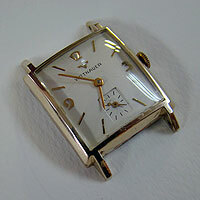 We know it's difficult to find a watchmaker on the staff of most jewelry stores. 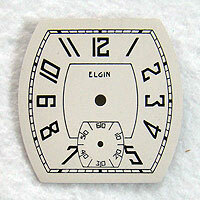 It's even more difficult to find one who can cut and set a watch crystal / lens / glass / face or repair a mechanical watch. 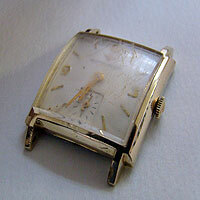 With over 40 years of experience in repairing and restoring watches, we can resolve your watch problems. Whether you live in New York City or small town in Kansas, you can trust that we have the knowledge, skill and experience to make your timepiece look and perform its best. And better still, you'll like our prices because we don't do our work in a high overhead location. Watch crystals (also referred to as a lenses, glass or faces) are our specialty. Our inventory includes not only an enourmous selection of sizes and shapes in both vintage and modern wristwatch and pocket watch crystals, but also all the materials that are typically used for crystals. Whether it's plexiglass (plastic), glass (ordinary or mineral) or synthetic sapphire - we have the right crystal to fit your watch. Click here to learn more. Let us restore your watch dial to its original brilliance. PLEASE NOTE! Our demand for refinished dials has increased. Lead times have increased to 8 to 12 weeks with more complicated jobs potentially taking longer. This only affects dials. Our crystal fitting and watch repair services remain at 1 to 2 weeks turn around. Click here to learn more. 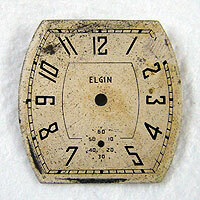 We repair and service both mechanical and quartz pocket watches and wrist watches. All watch work is done on our premises.We can perform almost any "under the hood" job needed for your watch. Whether it's replacing a battery or restoring the movement of your antique pocket repeater, we have the equipment and the know-how to make it happen. Click here to learn more.